Have you ever thought about someone and they emailed seconds later? Can thoughts heal your body? 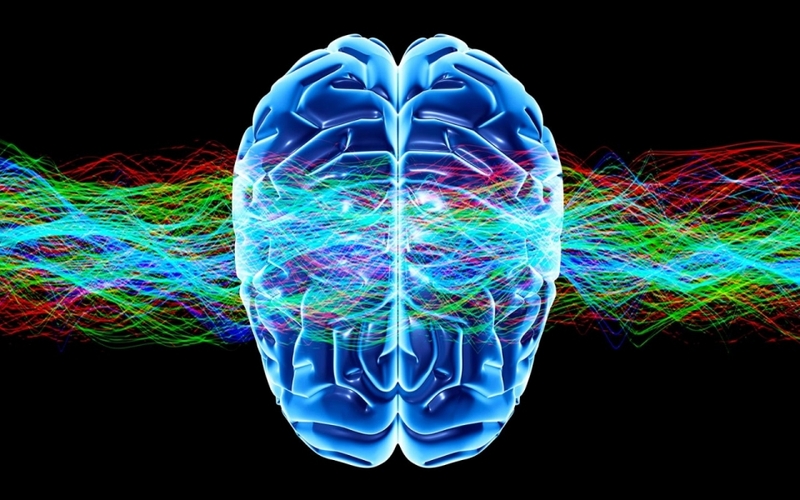 Is the brain able to predict new technology? When I first wrote my HuffPost Lucy movie review, people around the globe commented about what I shared regarding the human brain's power. But that article was simply the "tip of the iceberg." I first became knowledgeable about the brain when my mother was in a catastrophic accident, and she required emergency brain surgery to survive. After the surgery, she was tasked with relearning how to eat, walk, talk, and remember again. And I have been by her side ever since. And through years working with neurologists, neurosurgeons and therapists, I discovered how the human brain reshapes and heals itself. During my mother's major recovery, I was completing my master's degree in mathematics, and I was working as a rocket scientist, helping launch NASA's Space Shuttle and vehicles to distant planets. It took every ounce of my strength and sanity to endure my mother's ordeal while working. Through these life-altering experiences, I realized that Space and the human brain were nearly identical. And as I learned many things about Space that amazed me, I became equally in awe about the brain's phenomenon. The same applications of Chaos Theory mathematics that allowed engineers to find superhighways in space with limited fuel, is the same way that the brain builds superhighways to rewire itself. I was further amazed when I recognized that Albert Einstein's famous Theory of Relativity equation did not just deal with Outer Space. It also deals with our "Inner Space," the true power that we harness within our brains' structure. My epiphany allowed me in helping my mother's brain heal faster. Through it, I discovered a new structure to the brain and how energy is characterized through it. Image from NASA's Spitzer Space Telescope of the scattered remains of an exploded star. Picture courtesy of NASA. Through my personal experiences, my understanding of mathematics, neuroplasticity, and Einstein's Theory of Relativity, I have discovered the TRIABRAIN, and the Triabrain Theory of Relativity. A Triabrain refers to the brain operating in three main modes. And a person's brain energy from the Triabrain translates itself into both mass and light. Brain energy from its interior particle collisions and neuron synapsis forms both interior and exterior mass structures to the brain, and this is multiplied by the speed of light squared. Light in this case is characterized by the neurons' brain fire in milliseconds, which triggers conscious awareness. I will breakdown this concept with more clarity. 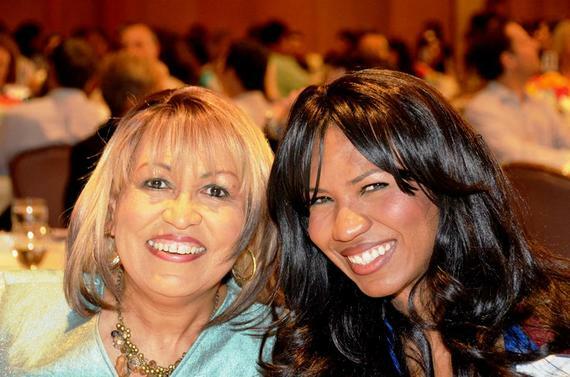 Nearly twelve years after my mother's accident, the unthinkable happened. This May 2016, my older sister went through a medical accident that required emergency brain surgery for her survival. Painful history seemed to repeat itself. However difficult both my mother's and sister's brain surgeries were to witness, I was inspired. These were opportunities to share the life-changing knowledge that I acquired through their ordeals. The TRIABRAIN is composed of three main sectors. As long as humans are alive, the brain naturally reshapes. But in some, it reshapes faster. 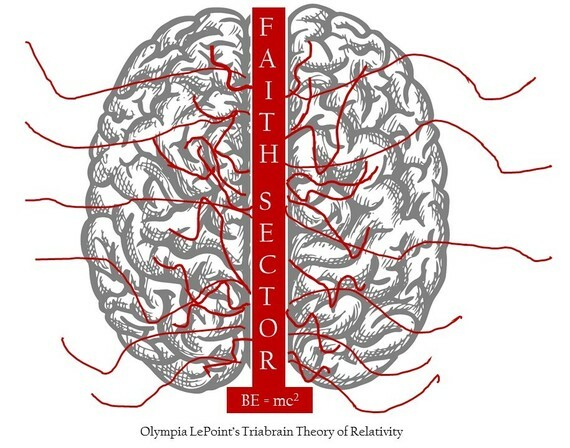 It reshapes the fastest when a person consciously uses their full three sectors: the left (scientific logical) side, the right (emotional and creative) side, and a newly discovered third side I call the faith (foreseeing) side that connects itself. Unlike the common knowledge of the left and right side operation, the faith side of the brain is the third sector that connects both the brain's left and right side together, as well as connects itself to the outside world. When the brain is linked through all three sections, the brain reshapes, unleashes answers and regrows. And this faith sector operates independent of the constraints of time and space. During my sister's ordeal, I was teaching as a college mathematics professor and hosting live on my Radio show Answers Unleashed. The talk show was originally designed to encourage college students to overcome situations by reshaping their brains with science and faith to find the answers in front of them. I share more information about the "The Triabrain" in the first episode. But little did I know that my talk show information would contribute to a new dimension of neuroscience. Olympia LePoint executive produces and hosts the talk show Answers Unleashed. Picture courtesy of Olympia LePoint and Michelle Manley. The third side of the Triabrain is the faith sector. When people think of the brain, they typically think of a series of connections separated by a left side and a right side. All the connections, pathways and their housings that communion the brain's ability to communicate fully with itself are what I call the faith sector. This part of the brain connects the left and right sides. It helps people overcome major obstacles, and inspires people to create new technology. Plus, it appears to initiate significant body healing. Image courtesy of Olympia LePoint. I am witnessing that highly innovative and triumphant people use this third faith side of the brain to do great things, independent of time and space. Let's consider some examples. Olympic athletes often envision themselves winning the gold medal before the games begin. Inventors have visions of new technologies before they are created. People who miraculously heal are often the ones who knew beyond a shadow of a doubt that they would recover. And in my TED x talk, I speak of how I overcame life challenges despite every odd against my favor. For a scientific example, according to the October 27, 2013 Medical Press article, "Neuroscientists discover new 'mini-neural computer' in the brain," dendrites which are the branch-like projections of neurons, were once thought to be passive wiring in the brain. However scientists at the University of North Carolina at Chapel Hill are showing that these dendrites are more powerful than once believed. They relay information from one neuron to the next. They actively process information, multiplying the brain's computing power. 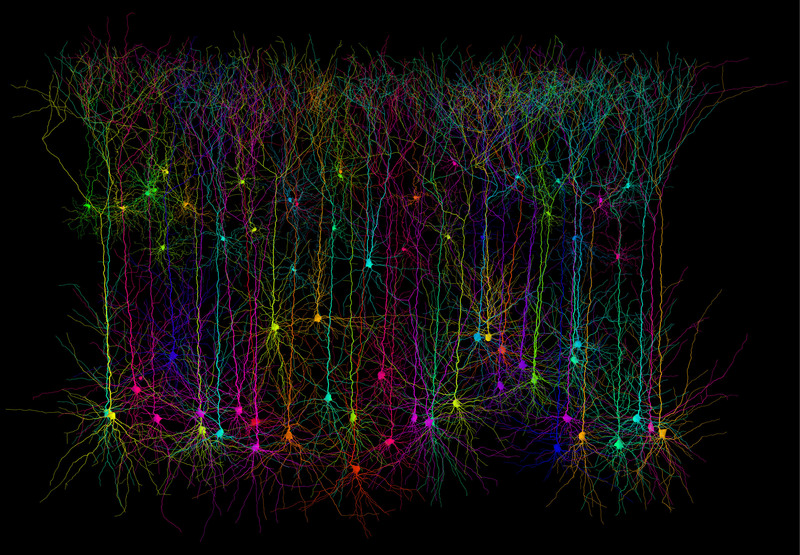 A computer simulated collection of dendrites, the branch-like structures of multiple neurons in the brain. 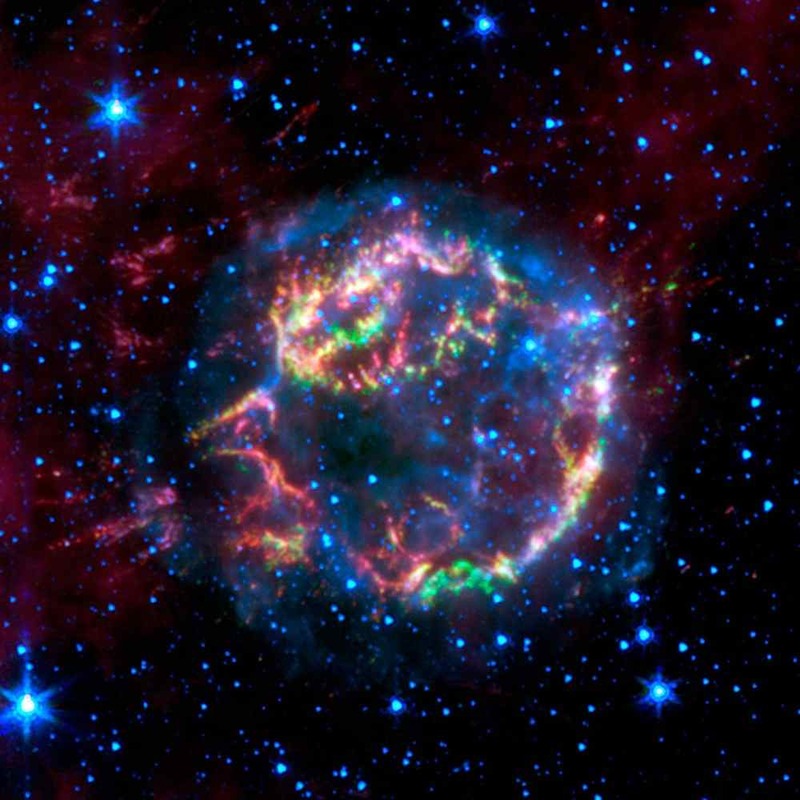 Image credit courtesy of UCL/ University of North Carolina at Chapel Hill. "An average human brain contains around 100 billion neurons and each neuron is capable of making around 1,000 connections (synapses) with the other neurons. 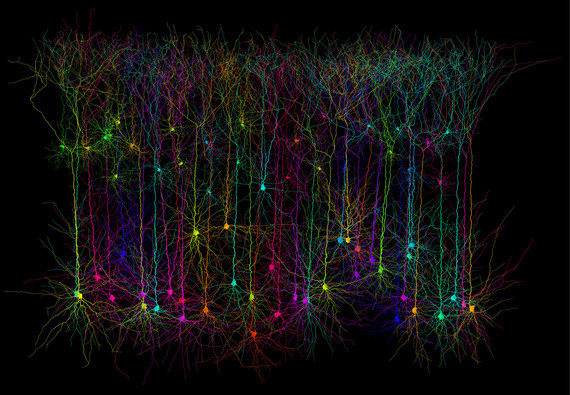 These 1,000 potential synapses created by each neuron are responsible for data storage inside the brain. Now if we multiply the count of neurons (100 billion) by the number of connections (1000) that each of them can make, then we get a whopping 100 trillion data points -- which can at the very least account for storing about 1000 terabytes or 1 petabyte of information." From my personal experience supporting my mother in her brain therapy support groups, I witnessed that the people who typically recovered fastest were the people who saw themselves healed before test results returned. Naturally while working with brain specialists, I needed to know the science behind such phenomenon. And I was surprised when I discovered that the brain's reshaping science had yet to be fully understood. So as a scientist, I started applying my own tools of math and science to find answers. Image of Olympia LePoint and her mother after her mother's surgery. Picture courtesy of Olympia LePoint. I am seeing that Space and the human brain are almost identical in its structure through the application of Chaos Theory Mathematics. To fly to distant locations in our solar system with a fixed amount of fuel, a "freeway" through the solar system -- resembling a vast array of virtual winding tunnels and conduits around the Sun and planets -- allowed engineers to fly to distant planets like Mars and Jupiter. With all the crooks and turns used to transport rockets as I describe in my Huffington Post Martian Movie Review by a Rocket Scientist, there are identical unknown crooks and turns in the human brain that are used to transfer knowledge from one area to another faster, igniting the frontal lobes as a result. And these frontal lobes are responsible for creating solutions. 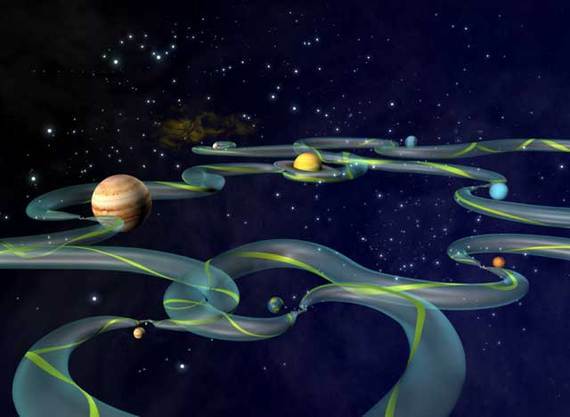 Artist's concept of interplanetary superhighway. Image credit courtesy of NASA/JPL. According to Dr. Caroline Leaf, a neuroscientist and author specializing in brain neuroplasticity and cognitive therapy, when a person experiences fear or trauma, dark tar-like mass forms in the brain that binds brain tissue together. The mass is like glue. This mass causes cognitive issues and grows with the presence of fear and trauma. It is through my scientific understanding that these masses block the original pathways and forces the interior of the brain to alter its superhighway pathways, creating new crooks and crannies to certain pathways. As a result, massive structures block the physical space and brain's fire. However through my chaos math analysis, the brain fire acts like a rocket traveling in space. The brain information travels on two types of pathways: where information can stall, or where it would accelerate to an intended destination. And unlike brain synapses that consists of a presynaptic ending that contains neurotransmitters, mitochondria and other cell organelles, these brains neurons are specially acting on each other through collisions caused by blockages. Through the blockage caused by the dark-trauma-mass, neurons form collisions on a miniature scale to us, but it constitutes a large collision in the brain space. And Einstein's Theory of Relativity characterizes their action. Ideally, all neurons are electrically excitable, maintaining voltage gradients across their membranes. And neurotransmitters tell a neuron either to fire, or not. Calculations and graphics by Olympia LePoint with image credit, iStock Photo. Neuroplasticity science has yet to incorporate Einstein's Theory of Relativity, gravitational waves, chaos theory mathematics together within understanding how the brain reshapes itself. As a result, through my understanding of the brain, this led to the Triabrain Theory of Relativity, which says that the brain is composed of three sectors and the third sector consists of all the brain connections transferring energy inside and outside of itself using principles of Einstein's Theory of Relativity. In this faith sector, it converts energy to mass in conjunction with light. Light can defined as the way in which a person is consciously aware of the world based on their location in space. Religious officials may call this "c" in the equation the effects of "holy enlightenment." And some energy workers may refer to this "c" as "awareness." Einstein's theory hinged his proof on the fact that gravitational waves existed, which was recently proven when audio recordings captured two black holes colliding in January 2016. The Scientific American Special Report on February 14, 2016 "The Discovery of Gravitational Waves" gives a detailed account of all The Laser Interferometer Gravitational Observatory (LIGO) gravitational wave discoveries. As a background, gravitational waves are "ripples" in space-time produced by violent events in the cosmos, such as the collisions and mergers of massive black holes. Their existence was predicted by Einstein in 1916, when he showed that accelerating massive objects would shake space-time so much that waves distorted space. Similar to the way two black holes collided in space, brain neurons and dark brain masses collide and merge. These collisions are considered massive in the brain space, thus they exert a force in the brain space, resulting in brain gravitational waves that I call Triabrain Waves. The brain creates its own gravitational waves, known as 'Triabrain Waves' as depicted in this image. Image credit: Alamy Science Photo Library. These waves are apart of the brain energy structure that directly builds (or destroys) mass in conjunction with brain light. These waves work to connect the left and right brain together and serve to reshape the brain's interior. 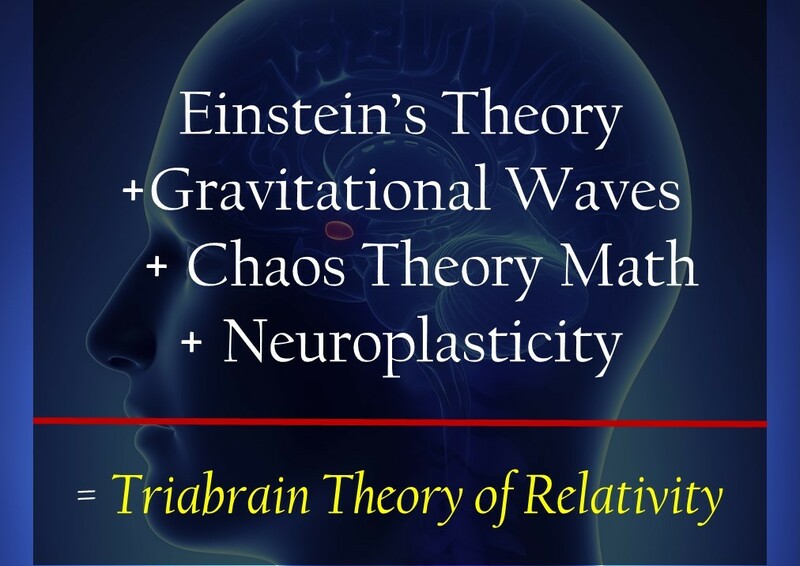 The Triabrain Waves are a part of the brain's energy system that also sends waves exterior to the brain. This is the reason why a person may call when you are thinking about him or her. Or friends may know each other's thoughts for a split second. This energy is sensed by all living organisms. These waves reshape the brain and its physical properties are similar to how gravitational waves in space pierce through all matter. 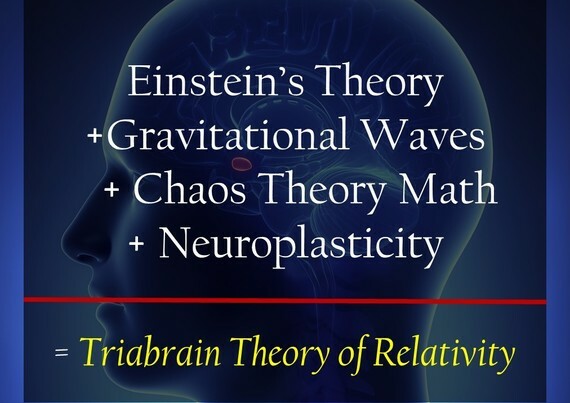 But most importantly, I believe these Triabrain Waves are the foundation of all future neuroplasticity science, human intuition studies and is the method in which prayer and faith work to change the exterior world. For more information about the Triabrain, listen to my Answers Unleashed talk thow episode "Triabrain" by clicking the link. Olympia LePoint shares how to reshape the brain with science and human experiences. Image courtesy of Olympia LePoint and Michelle Manley. So instead of looking at my two family members' situations as tragedies, I chose to look at these brain surgeries as blessings. Their recoveries help shed light on our brains' powerful reshaping capabilities, as well as the energy we have yet to fully harness. There is still much for us to understand about the brain. And I welcome other scientists to help in developing this knowledge. And hopefully, this blog is a significant introduction to unlocking a new way of thinking about the brain's true capabilities, outside of a science fiction movie seen in theaters. Until next time, find me on facebook on facebook.com/OlympiaLePoint and share your thoughts.